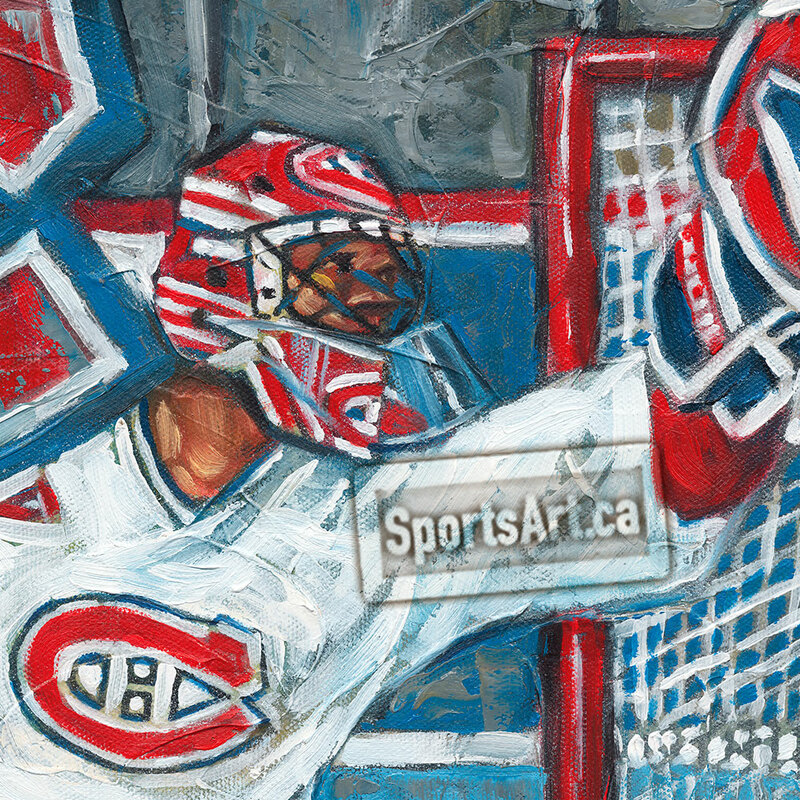 Montreal Canadiens and Colorado Avalanche Hall of Fame goalie Patrick Roy is the subject of this Jeremie White original oil painting. 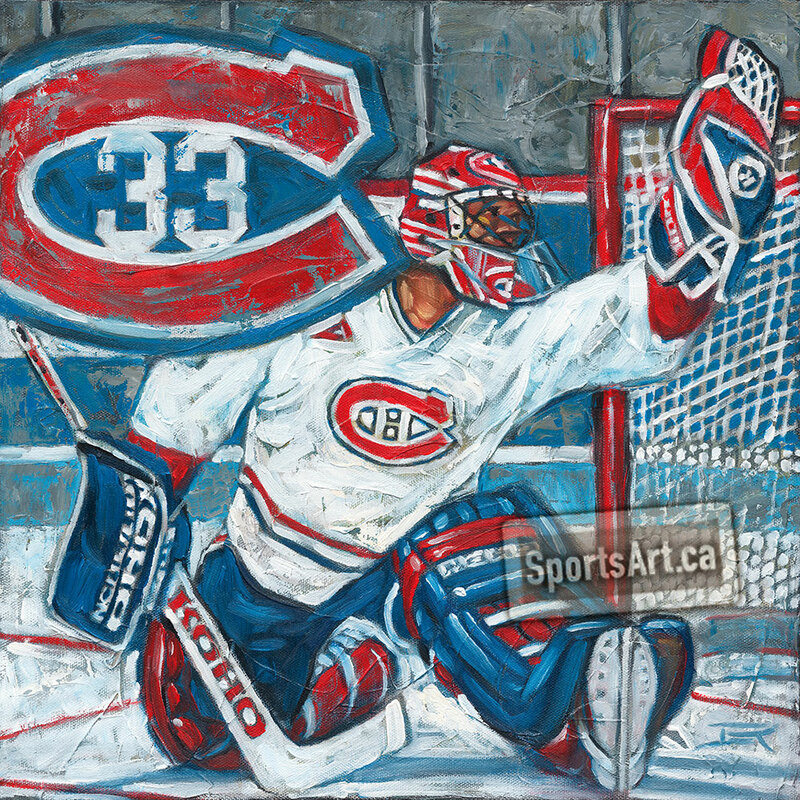 “Saint Patrick” has won Stanley Cups and had his number #33 retired by both franchises. 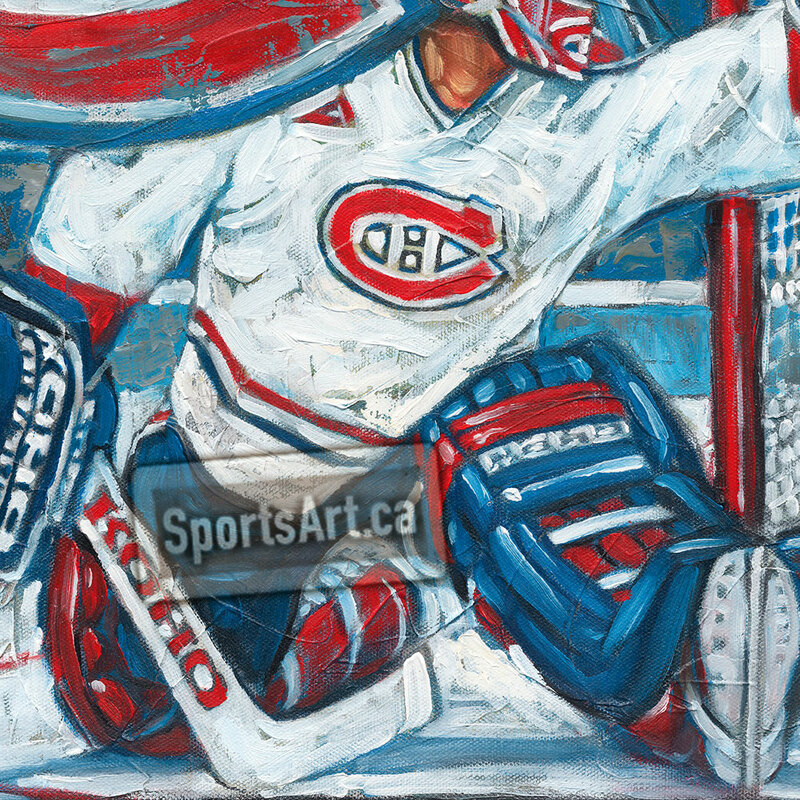 Original Oil Painting – 16×16", Large Giclee Canvas Print – 24×24", Giclee Canvas Print – 16×16"